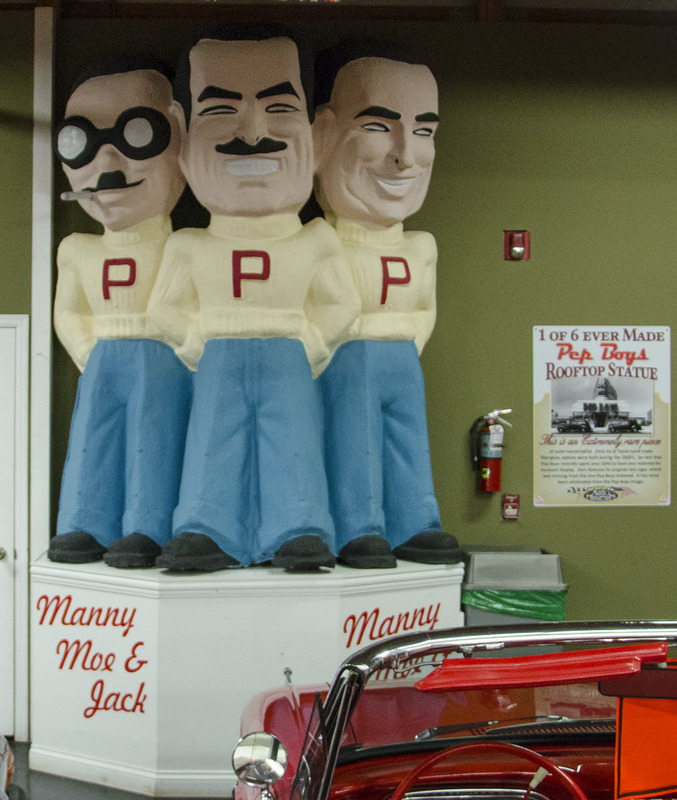 AT ONE TIME, GAS PUMPS, SIGNS AND NOTHER AUTO-RELATED ITEMS, HAD AS MUCH STYLE AS THE CARS THEMSELVES. 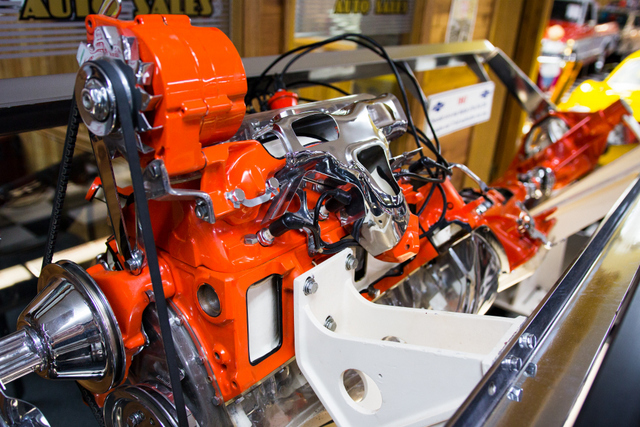 This cut away was built by GM to promote the new 350 CI engine. Not only do the internal parts move but the engine itself rotates so you can view inside of it even from underneath. 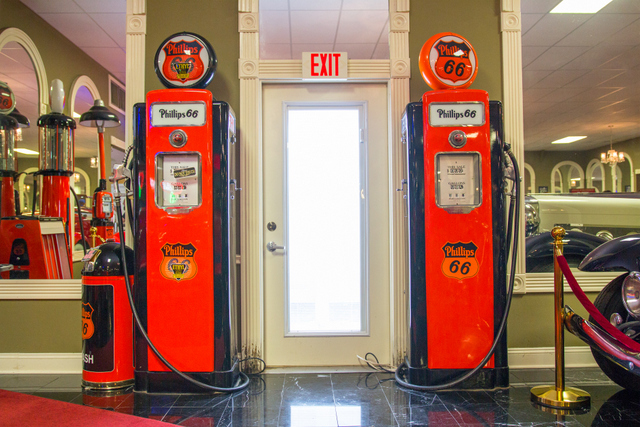 Vintage gas pumps are beautiful with their distinct branding and unique globes. 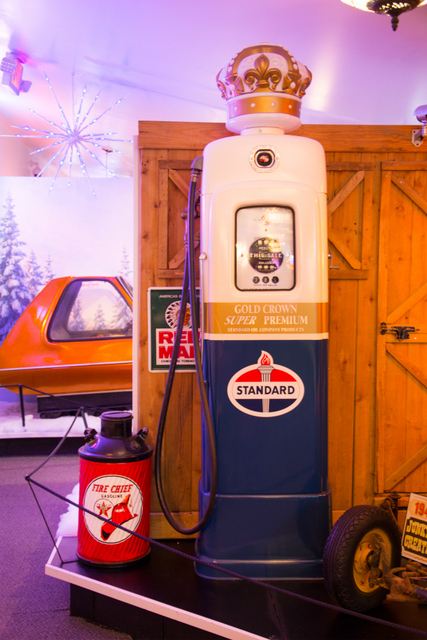 You'll be able to see different styles of gas pumps, but also other gas station items like oil cans and racks, air pumps, lamps and more. 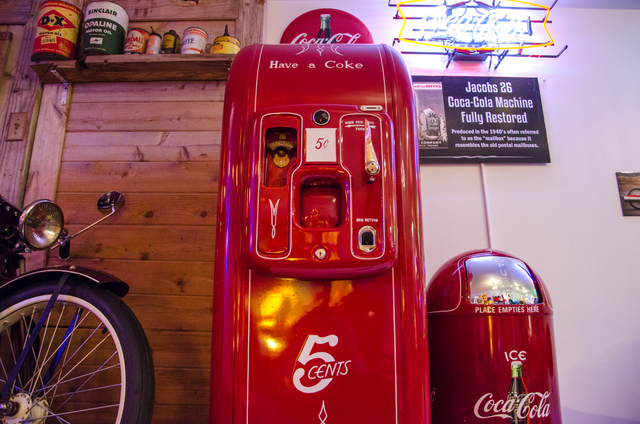 From antique pop machines to a street vendor tricycle. 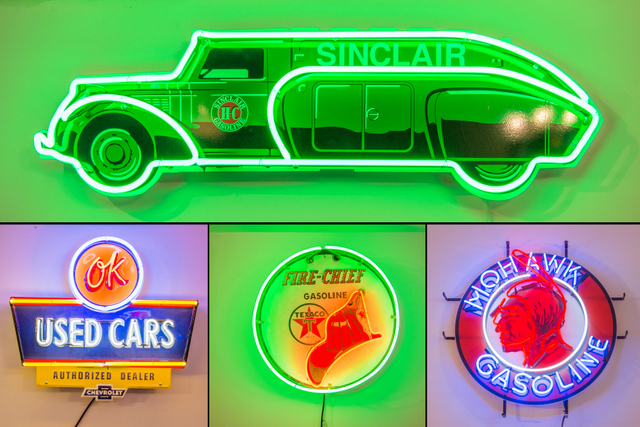 We're home to a large collection of dozens of neon signs. 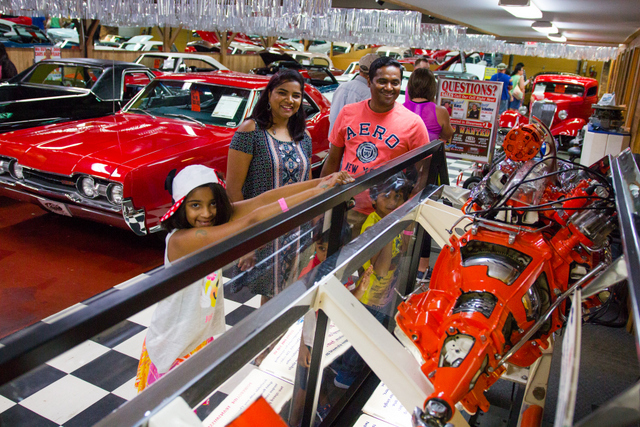 From gas stations to auto makers. 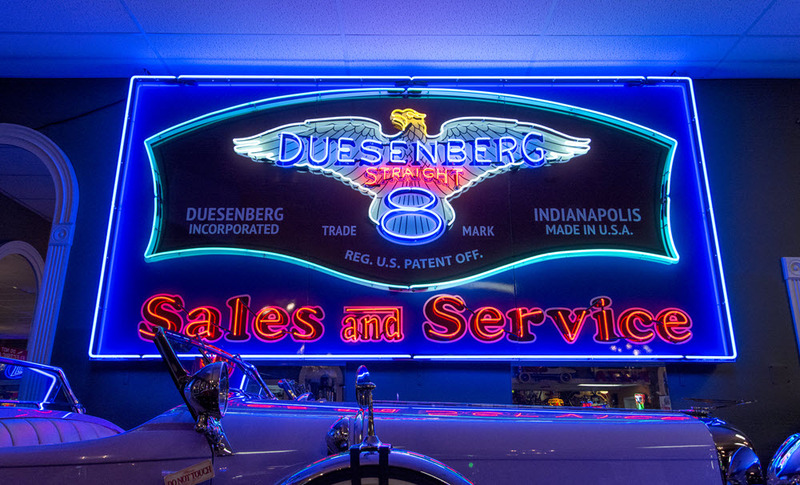 Neon signs so big, they're brighter than staring into the sun. 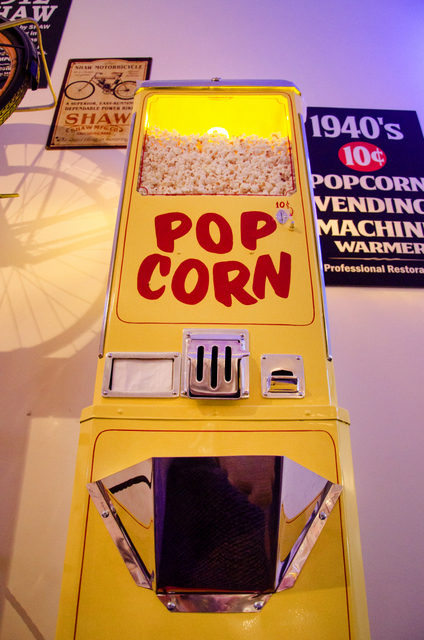 From cigarettes to pop corn, see many type of vending machines you'd find at gas stations and car dealers. 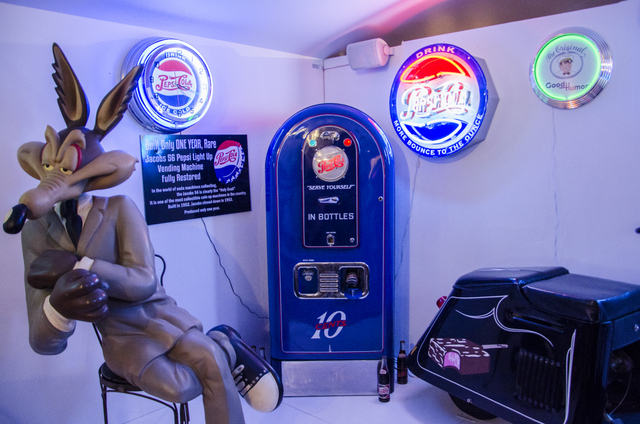 See a Jacobs Model 56 Pepsi Machine, the rarest and most desirable soda machine for collectors.